Several models of Arc'teryx pants are sized numerically and may be available in different inseam lengths. Please refer to the specific product page to see which waist size and inseam lengths are available for your product. Several models of Arc'teryx pants are sized numerically and may be available in different inseam lengths. Please refer to the specific product page to see which waist size and inseam lengths Ïare available for your product. *For all other pants available in numerical waist sizes where the inseam length is not specified, these following inseam lengths apply. 2. Hipbelt sizing: is based on a measurement around the hip iliac crest. Measure around the body at the top edge of the hip iliac crest, approximately 2 inches below the point at which you would measure your waist. 3. Shoulder strap: sizing refers to bust/chest circumference. Measure around the bust/chest at the fullest point. 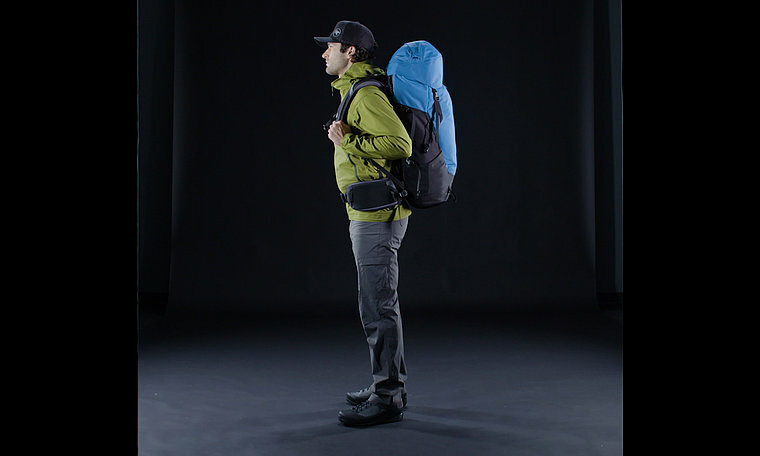 It is possible to interchange different size shoulder strap and hipbelt components on many Arc'teryx Packs, but this will not change or affect the back-length of the pack. Bora packs are shipped with medium hipbelts and shoulder straps. More detailed information about fit can be found in the Bora AR Backpack manual. Please contact the retailer where you purchased your Bora AR Pack or Arc’teryx Customer Service if you require a different size. Please note, the hipbelt & shoulder straps must be in new condition to facilitate an exchange. Additional charges will occur if the belt or strap has been previously used.